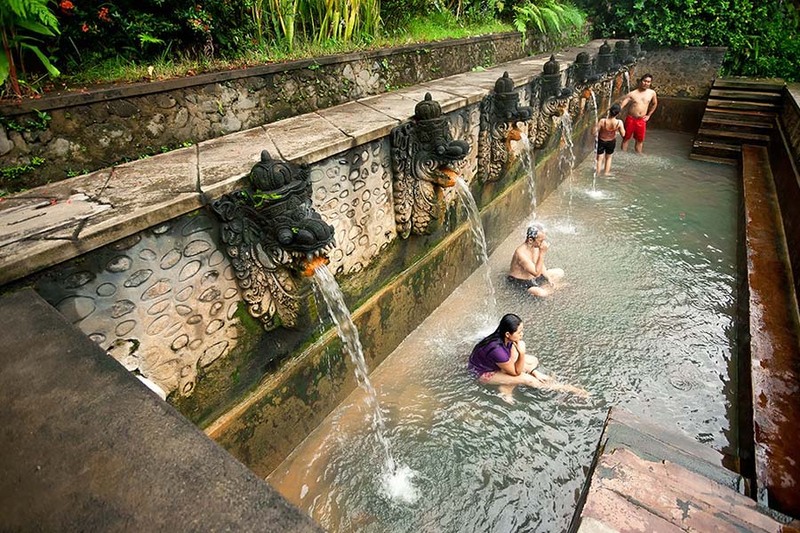 North Bali tour is a sightseeing trip in one day where the tour is more focused on tourism in northern regions. Bali northern regions also have objects that deserve the visit and no less interesting to objects in other areas. The attractions that will be visited are visiting Bedugul temple namely Ulun Danu objection Temple is a Temple that is located in the village of Bedugul, the Temple is located on a lake objections, after which we visited the sights Tamblingan and Buyan lake view, or better known as the twin lake view, after the tour continues to visit the waterfall in Gitgit, and continued on to the area Lovina for lunch, after lunch we visit the beach Lovina and Banjar hot spring, you can swim in Banjar hot spring and Lovina beach, we recommend to bring a towel, because we do not provide towels in the tour. after that we went back to the hotel with a memorable experience. 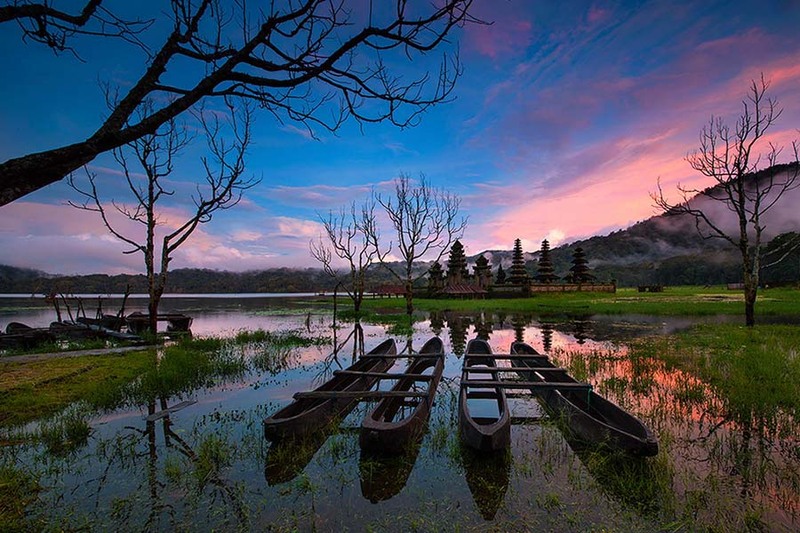 Tamblingan Lake Is a beautiful lake located in the plateau area. 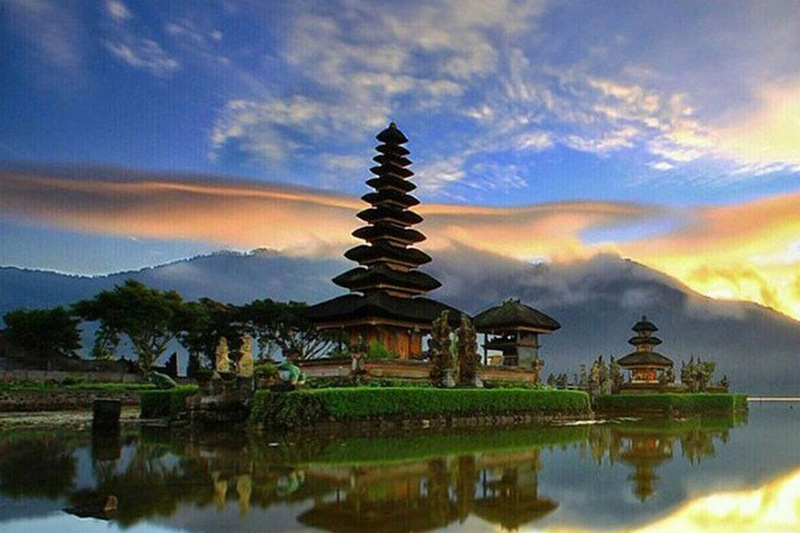 The smallest of Bali’s northwestern lakes, where you can see gold in its waters. Long time ago when the modern Balinese culture was still in it’s formative stages, a vengeful King fell upon the people of the hills and bent them to this yoke. As a last act of spite, the people threw their riches into the lake. Gitgit Waterfall is a waterfall on Bali, Indonesia. It is located on the north of the Southeast Asian island, not too far from Lovina and the old island capital Singaraja. This is the most famous waterfall in Bali. 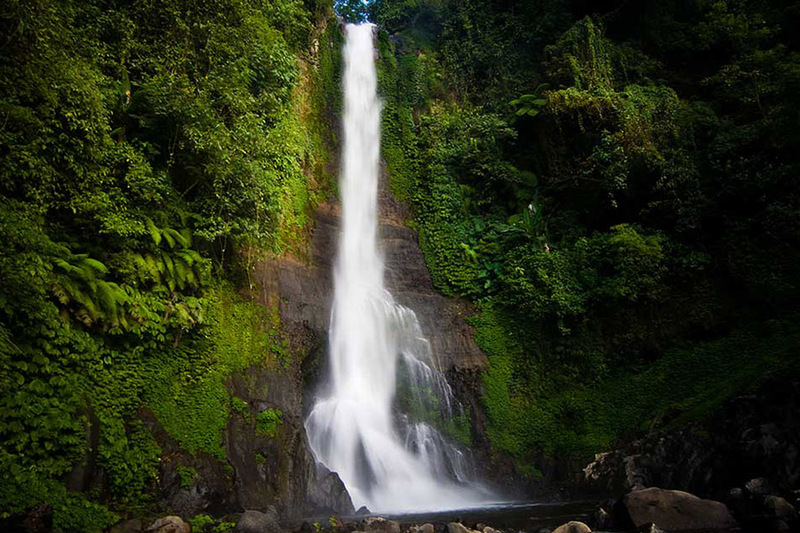 The Gitgit Waterfall is on the edge of the Highway Denpasar – Bedugul – Singaraja. To get to this Gitgit waterfall we will walk 500 meter around 30 minutes walking. Lovina Beach one of the famous tourist places in north part of Bali which own beautiful of calm sea water, blackish chromatic sand and the sea with its dolphin. 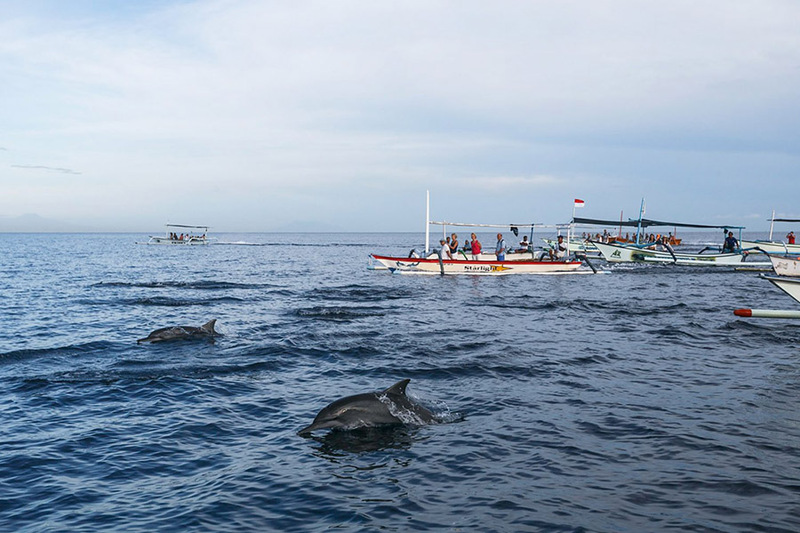 One of the favorite fascinations in Lovina is Bali dolphin watching tour. Lovina area is also supported by the number of tourism fascination which is can be reached from this location.